If in buildings there is no place for a heating system or a pellet storage, or the existing boiler and storage rooms must be used for other purposes, then the Energx Box is proving to be the ideal solution. In the finished container made in concrete, your heating specialist will install the Pellematic pellet boiler including storage system as well as the buffer tank and the solar panels if necessary. The heating system is available for a power range 12-224 kW. Thanks to the flexible equipment options they can be optimally adapted to suit your needs. Energy Box of type A (10 to 20 kW) or B (12 to 32 kW) are designed for detached houses and apartment buildings. Thanks to outdoor installation, you save valuable living and storage space inside the building. An expensive cellar conversion is not necessary either. The included Flexilo fabric tank (see page 40) can store between 3.5 and 6 tonnes of pellets. If you want to use all the space in your company building for offices or production, then an Energy Box of type C (15 to 56 kW), D (72 to 112 kW) or E (144 to 224 kW) are the ideal choice. All of them are suitable for companies, hotels or public buildings. Best of all: If the building is extended or production expanded, the heating centre can be supplemented or replaced. Between 9 and 15 tonnes of pellets can be stored in the integral storage room. A pellet Energy Box might be selfcontained, but it can still be extended according to your needs. A Pellaqua accumulator tank can be added, or roof-mounted Pellesol solar collectors installed. The optional Pellematic Online Monitoring System is also available for use with pellet heating centres, allowing you to monitor your installation at all times via the internet. You can remotely control your system from wherever you happen to be with the smartphone, tablet or PC web app and even order a new fuel delivery. 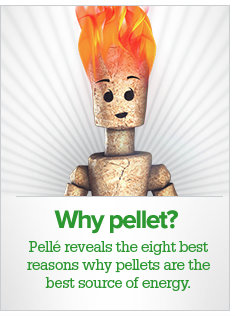 The heart of any central heating system is the proven technology of Pellematic pellet. Whether as an individual boiler, tandem system or four-cascade; it is reliable and provides good heat with high level of comfort. Multi-boiler systems score with high reliability, long service life and low component wear. The container is supplied from high-quality concrete. The exterior is plastered white by default. The container includes off the court for the heater also room for a pellet storage room. The necessary conditions for the heating system such as cutouts for the pellet feed or fireplace are planned from the outset. The newly constructed company headquarters of Z-S-M Maschinen & Metallbau GmbH meets its needs with a 224 kilowatt ÖkoFEN Energy Box. 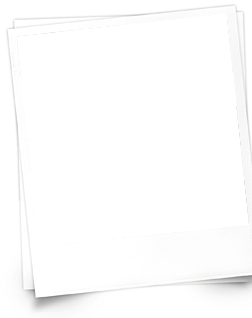 With this, the internationally successful company has succeeded in reducing its annual heating costs by 75% and its CO2 emissions by about 100 tonnes. During the course of construction work, the wooden container was clad with the same façade as the new building and blends in perfectly with the appearance of the company headquarters. "Z-S-M Maschinen & Metallbau GmbH meets its needs with a 224 kilowatt ÖkoFEN Energy Box." Pellet-heating and pellet-storage for outdoor installation.